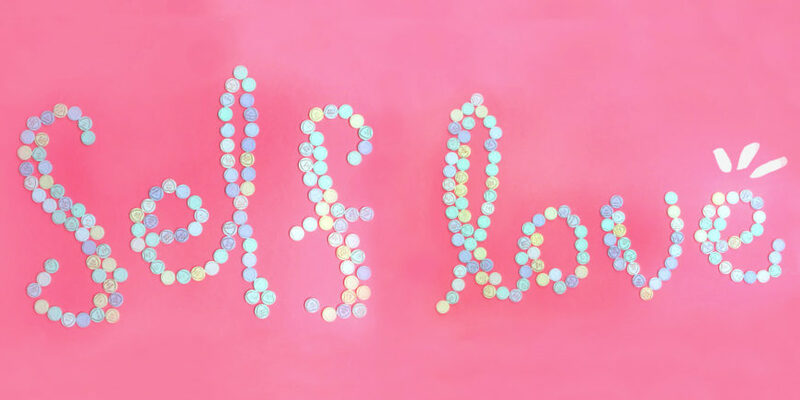 Let’s talk about Self – Love. Being a female is HARD. There are so many expectations – real women have curves, real women are skinny, real women are thick, real women have long hair, real women wear heels, real women are this …real women are that. The truth is –a REAL WOMAN is YOU, a REAL WOMAN is ME. We all represent what a REAL WOMAN is. All of us REAL WOMEN are unique – we have completely different bodies, completely different careers, completely different life journeys. BUT we are all the same in the fact that we were given one body to experience our life journey. We were given one body, a body that we did not get to choose, a body that we did not get to piece together. Not being given the option to choose what body you have can be frustrating. From a young age we learn what society thinks is an acceptable body. We see models on magazine covers, actresses on television, and we start comparing ourselves to them because society has persuaded us into believing that what they look like is what we, as girls and women, are supposed to look like. If there’s one thing that’s become clear to me over the last few years, it’s this: Nearly every woman I meet, work with, or assume is perfect probably struggles with her body image. Growing up and in my young adult years my life was filled with counting calories, binge eating and then starving myself, beating myself up because I didn’t feel “skinny enough”, constantly having negative thoughts about my body. Sadly, I know I am not alone in how I was feeling and how I was treating my body. I knew what I was doing to my body was not healthy and I also knew I wasn’t being a good role model to my younger sister or any individual who looked up to me. I knew that if I wanted to be a woman I was proud to be I would have to change my way of thinking about myself. So I chose to accept my body as my own, accepting what I could not change and doing something about the things that I could change. I encourage all women to work on accepting themselves. An important thing to take into consideration is, your body will look how your body looks and you’re allowed to work on it. Your own “body goals” aren’t one specific thing. They will change and evolve with you. The body I wanted to have at age 18 is so much different than the body I want to have at age 30! At age 18 I hated my broad shoulders, I hated my big bum, and I hated my brown eyes. At age 30 – I LOVE my broad shoulders, I like my big bum, and I embrace my brown eyes. Everyone is different. Everyone is themselves, everyone has different goals in what they want their body to achieve; you’ve just got to own who you are and be comfortable with who you are. Accepting your body, or even more so – Loving your body can be a hard thing to do, but I encourage you to take a moment and think about all the amazing things your body does. Our bodies wake us up every morning to experience another day on this earth. Our bodies put up with all the things we do to it as we are growing up. Ladies, your bodies provide you with the opportunity to be a mother, to provide life to a precious child. Yes, your body may never look the same after you have a child, and that is something you should let yourself be okay with. Your child doesn’t love you for your body, your child loves you because of the love and care you provide to them. Your family and friends don’t love you because of your body. They love you because of who you are on the inside, because of the joy you bring to their lives just by being who you are. As women we have the incredible opportunity to be role models for the younger generation. We have the ability to show the younger generation that it is okay and healthy to love who you are at every stage of your life. Your attitude towards your own body is what your daughter and young girls in your life see. We have the ability to help young girls see their body as a magnificent work of art, not a body that has or will have numerous faults. So as REAL WOMEN I challenge you to love yourself a little more this week. Embrace your body and the wonderful opportunity it gives you to experience life. Remember that you’re allowed to work on your body, you are in fact an ever changing masterpiece. Instead of expressing how negative you feel with your body, practice expressing how grateful you are for getting the chance to experience life’s journey in your body. Lastly, remember that you have the incredible opportunity to be a self-loving role model the young girls in your life. Recognize that “we all come in different shapes and sizes”: Appreciate the parts of yourself that are strong and curvy and take up space or appreciate the parts of you that are long and lean. Mostly, appreciate your unique shape. Practice positive self- talk: Number one rule: Don’t say anything to yourself that you wouldn’t say to anyone else. Set health-related fitness goals instead of size-related fitness goals: Instead of saying you want to lose 20 pounds, commit to working out and following a well-balanced diet. Embrace the fact the life is a never ending work in progress: Your life will be constantly changing, your goals will be changing, and you will forever be working to get to where you want to be. Embrace the Journey and learn to love the stages you get to go through. Live the life you want right now: So many people postpone life’s amazing experiences until they reach their goal weight or decline invitations to events because their body doesn’t exactly look the way they think it should. If you have a trip that you want to take, or something you want to do – Go Do It! NOW!